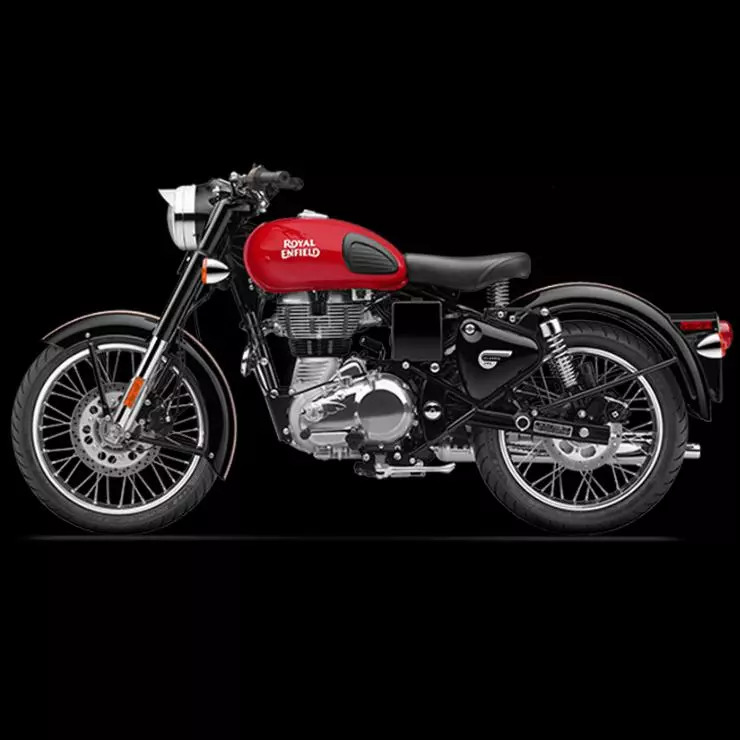 Royal Enfield has updated the Classic 350 Redditch Red with a rear disc brake, thereby expanding the number of motorcycles that it sells with a rear disc brake. This will come as a welcome surprise to most buyers of the Classic 350, who’re now likely to opt for the Redditch Red due to the latest feature addition. The only other Classic 350 that gets a rear disc brake is the model in Gunmetal Grey. The Royal Enfield Classic 350 Redditch range with the rear disc brake starts from Rs. 1.47 lakh, ex-showroom Delhi. The rear disc brake is a 240-mm unit. Apart from the rear disc brake, Royal Enfield has also changed the swingarm of the motorcycle to accommodate the new disc brake. On the front wheel, Royal Enfield offers a 280-mm disc brake as standard. The addition of the rear disc brake has bumped up the price of the Classic 350 Redditch Red by Rs. 8,000, a small price to pay for improved braking performance. The Classic 350 range is Royal Enfield’s best selling motorcycle range. The distinctive styling of the Classic range is a major contributor to sales. The Classic 350 range uses the UCE350 engine, which displaces 346 cc, and has a long-stroke design. The engine produces 19.8 Bhp of peak power and 28 Nm of peak torque. A five-speed manual gearbox is standard. However, the Anti-lock Braking System (ABS) continues to be absent in all Royal Enfield motorcycles sold in India. The motorcycle giant is expected to add ABS to its motorcycles by April 2019, when new safety norms mandated by the Indian government will come into force. ABS is an electronic device that senses wheel speed and braking pressure to modulate braking pressure in such a way that the wheels don’t lock even under very hard braking. This allows the rider to brake hard during emergencies without worrying about skids. Also, ABS allows the rider to simultaneously brake and steer away from obstacles, thereby helping in collision prevention. We hope that Royal Enfield soon offers dual-channel ABS on all motorcycles it sells in India. Notably, all Royal Enfield motorcycles sold in Europe get dual-channel ABS as standard.